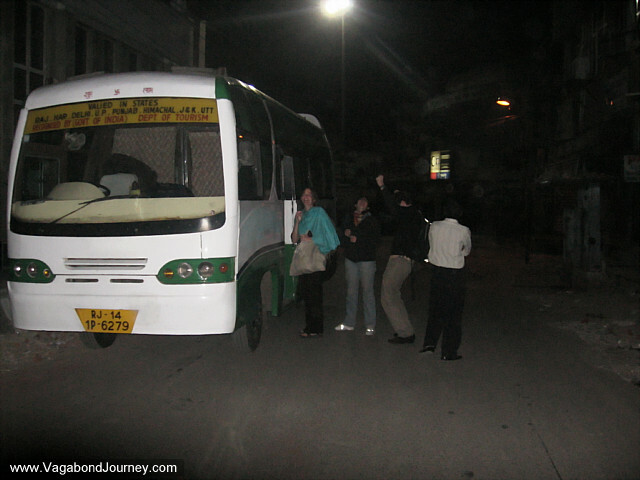 Study abroad students boarding a tourist bus in the middle of the night in Delhi, India. Toddler with kohl around his eyes to protect him from the evil eye in India. 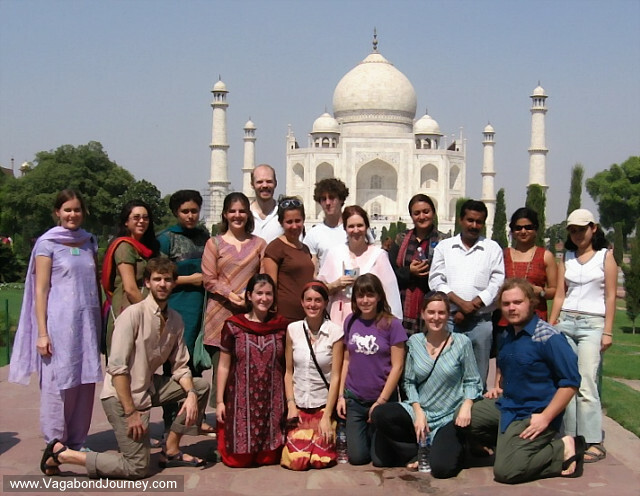 Group of study abroad students in front of the Taj Mahal in Agra, India. 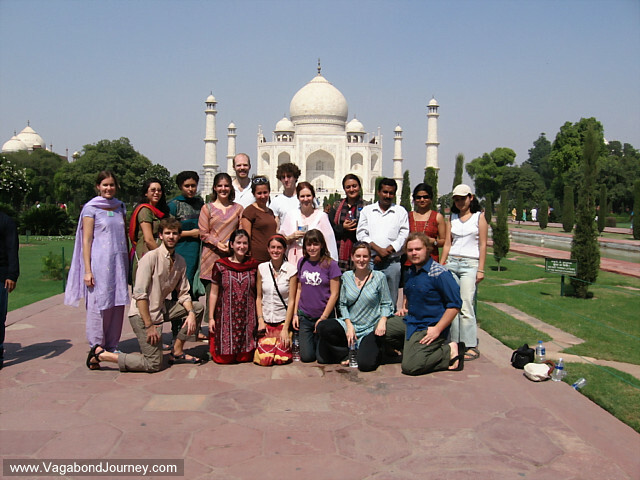 American tourists in front of the Taj Mahal. 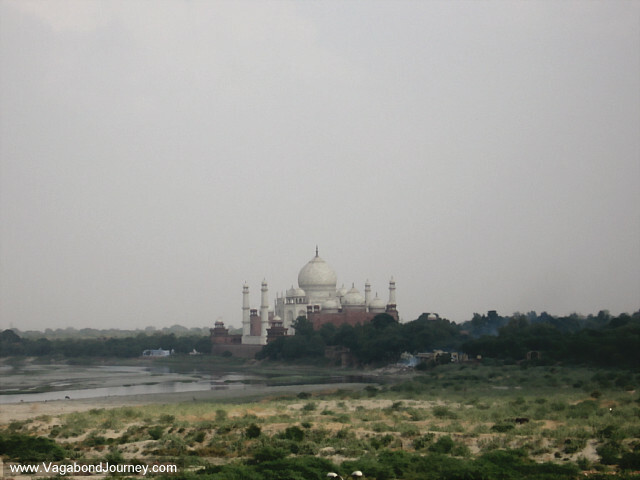 Indian mother and her baby in Agra. 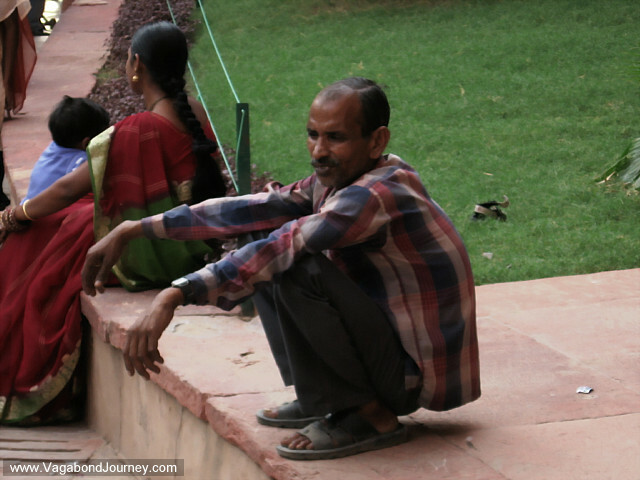 Scowling Indian man squatting outside in Agra. 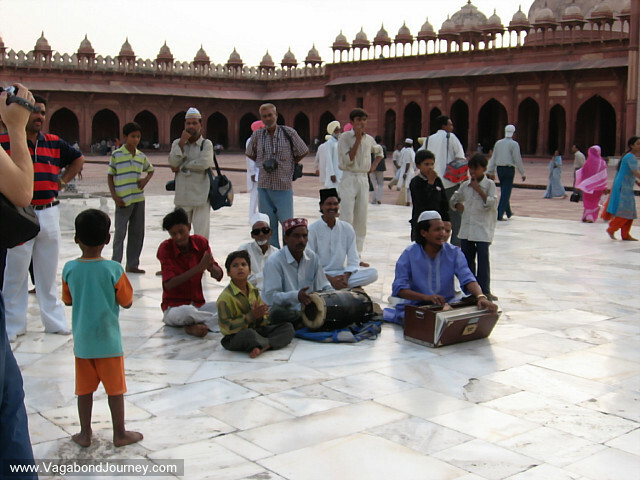 Sufi or qawwali musicians play in the Red Fort, Agra, India. 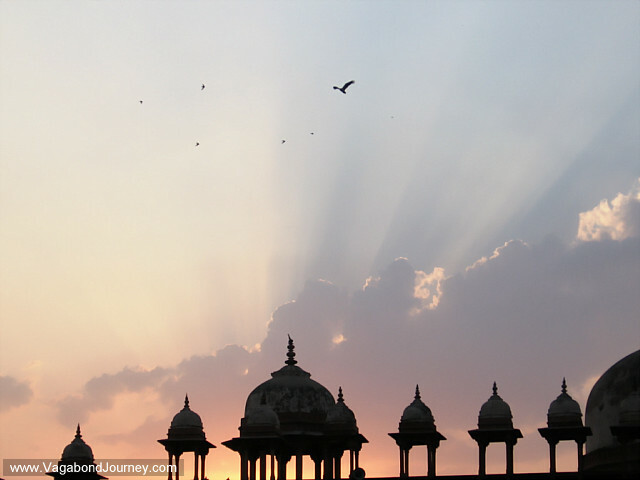 Sunset above the Red Fort in Agra. 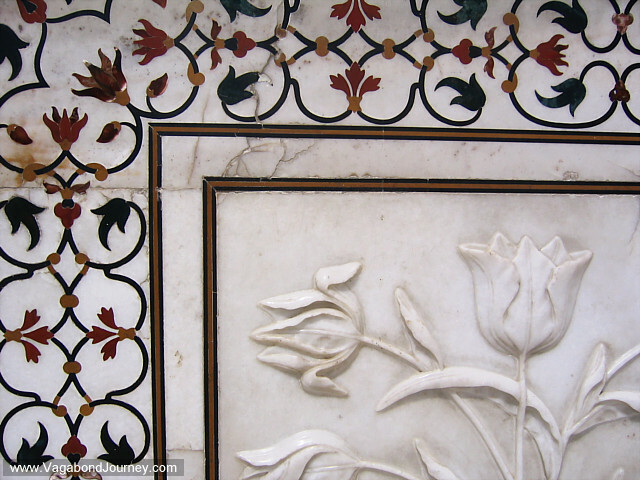 Detail of the floral inlay in the Taj Mahal.